Comstock Park, MI—Kent District Library (KDL) is challenging the traditional concept of a library, including how they care for their own staff. Ensuring accessibility for all residents and guests of Kent County, KDL strives to provide minimized barriers and reasonable accommodations through customer service and employee amenities. 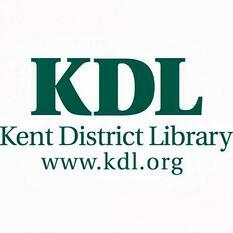 Operating 19 branch libraries and serving nearly 400,000 residents of 27 governmental units throughout Kent County, Michigan, KDL offers opportunities for information, ideas and excitement. Yes, there are books to check out, as well as bicycles, iPads, Wi-Fi hotspots and GoPro cameras. At KDL, convenience is king – so they looked to CareATC, a leading employee population health management provider, to offer employees and their families the same education and opportunity for success and ease when it comes to their health. Employees are taking advantage of CareATC’s Personal Health Assessments to give participants a clear understanding of their overall health picture and leveraging HealthPassport, a customizable wellness and incentive management portal that engages participants amplifies healthcare savings with convenient access to quality care. KDL’s proactive approach of partnering with employees around their health will ultimately allow the non-profit organization to realize immediate savings through less absenteeism and greater retention of their talent pool. “The opportunity to provide access to high-quality comprehensive medical care at no cost to KDL’s employee population is a mirrored mission of connecting people with what inspires them and finding integrated and useful means of achieving goals for knowledge and learning, including better health,” says Philip Kurtz, CareATC Chief Executive Officer. CareATC Inc. is a leading innovator in the health technology sector providing on-site and near-site medical clinics. By leveraging groundbreaking technology, CareATC offers customized population health management solutions for employers that reduce healthcare costs by promoting health, preventing disease and providing a shorter path to care. CareATC manages more than 140 clients in 31 states and cares for more than 155,000 patients. Accredited by the Accreditation Association for Ambulatory Health Care Inc., CareATC is based in Tulsa, Oklahoma. To learn more about CareATC Inc., visit www.careatc.com. For media inquiries contact Lori Malone at 918.645.9285.